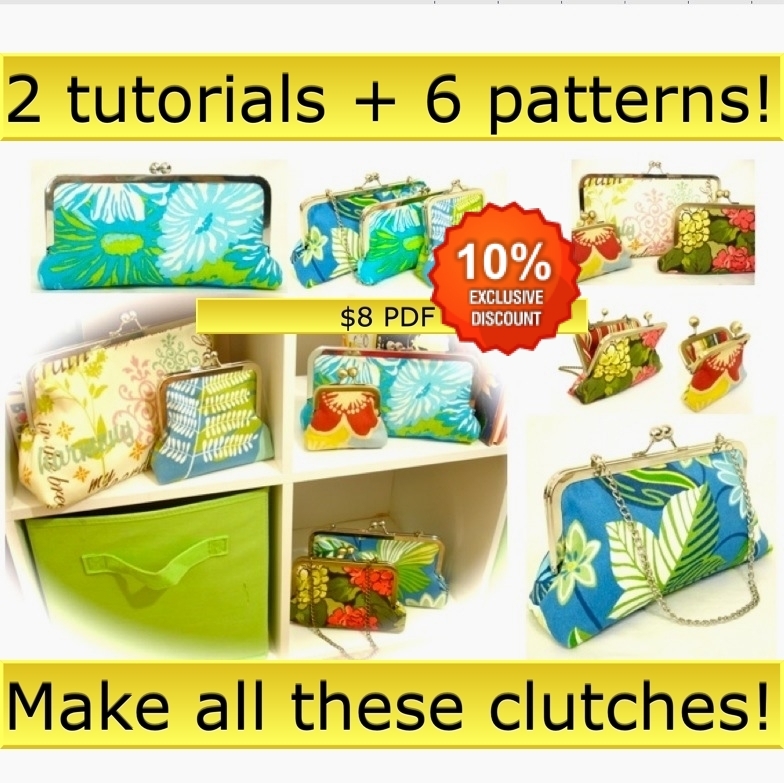 You can learn how to make ANY SIZE clutch! *Gutermann glue for US-based addresses*. Glue cannot be shipped international due to Customs regulations. Hard copy MASTER tutorial booklet how to make a clutch – WITH or WITHOUT a bottom seam. I purchased a PDF a few years ago. I haven’t made a clutch for a long time, so I need some help. I can’t find any mention of a seam allowance in the instructions. what is everyone using? I do not know how to acquire my PDFs that I purchased! Please advise! Hi- Sure. Can you contact me via the Etsy shop? 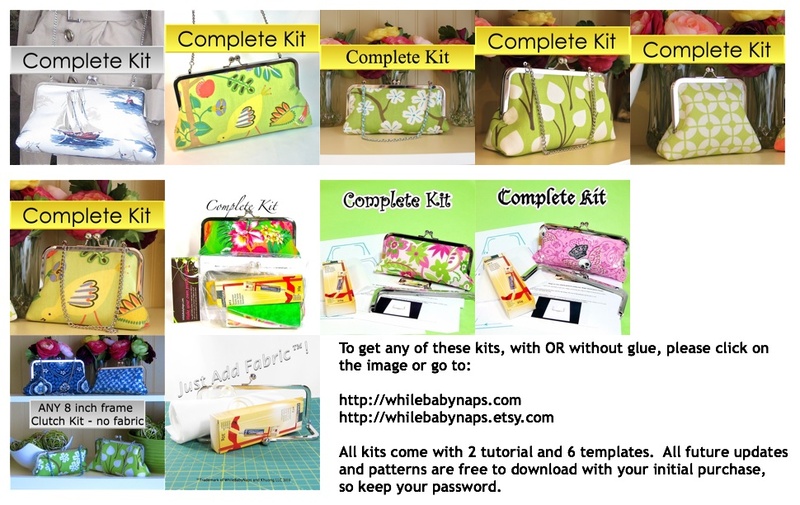 Look through your purchase history, click on contact seller, and send me a message. We are sending passwords through Etsy’s email feature (Conversations). Thanx! Thank you for your confidence! I will do a series of videos. I hear your point and trust me, I can’t hire a videographer since that will get pricey, but I will attempt something that has good lighting, which to me, makes all the difference. If you have a video out there, please, please let me know ( majormom2u@sbcglobal.net )… if you have it for sale, I will gladly buy it!!!!!!!!!! IF YOU HAVEN’T MAKE A VIDEO TUTORIAL YET…. PLEASEEEEE!… MAKE ONE!… i NEED IT BADLY!!!!! Thank you Sandy. YOU MAKE MY HEART SING!!!! xo I get many requests for videos and I haven’t had the time to do it. Plus, I want a high quality one which will take a lot of time and investment ($). Lighting is key in making videos as much as in photography. Thank you for your encouragement. I so appreciate it. I never know who is out there when writing my blog(s) so I appreciate that you always take time out to comment. It gives me that much-needed boost. BTW, right now I’m working on the pattern for the 12×3.5 frame. I’m still reworking it so it’s as simple as can be. I just got out of the hospital (as you already know, I spend lots of time in the hospital), and love knowing you are thinking of the possibility of making a video… Trust me, it will be a hit! !… Count on me to be the first to buy it! PS. Please do make that video!!! Sandy- I’m so glad you are out of the hospital. I’ve had 4 surgeries, my dad’s a doctor … I’ve had my share of hospitals as well. I’ve got arthritis and herniated disks in my neck(!) now so I’ve been spending 10-13 hours a week on physical therapy and doctor-approved exercises to improve my condition. We are trying everything with surgery being the last option! I know full well how you feel!!! Thanks for the minder on the 12×3.5 and the videos. With kids out for the summer, I didn’t get to either one. I spent a lot of time with new listings, updating the shop, product research and design … 🙂 I tried 5 different patterns for the 12×3.5 size frame but all were too complicated for the current tutorial – which is the same instruction but just different templates. With the scale of the big frame, I will have to make a brand new tutorial and pattern for that one and I will finesse it. The key is to get it all around 20 steps. Lots and lots of hours in and I’m still not happy with what I’ve got. On the videos, my goal is to start on those in September. It’s always good to have a goal. Thank you Sandy, as always, for your tremendous support and encouragement. It makes my “work” so much fun. 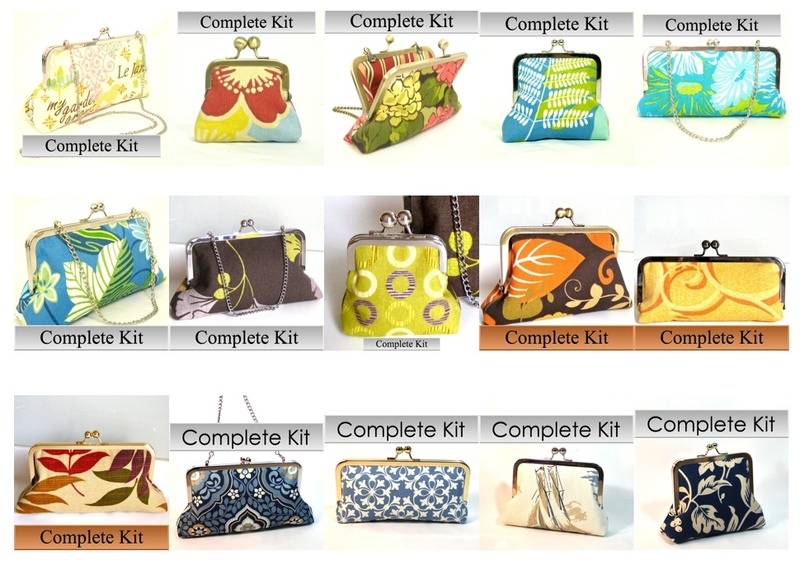 And I’m THRILLED to hear to joy you bring to others when you gift them with your handmade coin purses!!!! Hi Jess- here’s detailed info on shipping with pictures. https://clutchme.wordpress.com/2011/01/22/shipping-policies-and-new-rates-for-2011/ Be sure to check it out. You can go directly to http://www.usps.com as well. They are, by far, the most economical way to go. I’ve sent to South Africa before and it takes about 6-10 days via USPS Priority Mail International. I have a customer who lives out yonder on a farm in S. Africa so shipping is not a problem. I recommend planning your purchase to take advantage on BOTH the volume discount pricing AND the shipping as you can spread the cost of shipping over a larger number of frames! The large majority (75%+) of my International shipments are in the LARGE flat rate Priority Mail International box. I just wanted to check something before I order. When etsy adds up the shipping for all my items (about 26 different sizes) the shipping comes to $147.20. When you pack it do you then work out the shipping like you explain in the shipping info you pointed me towards? Will it be $45.50 if you can get them all into the middle sized box? And then do you refund the overcharged shipping cost? Sorry to bother you with all these questions! But when you are multiplying everything by 7 cos of the exchange it becomes important. Ya I am so glad you grabbed a featured button! The post will be tomorrow (friday). Thanks again!